There is probably no easier way to cook lamp chops than grilling, and you can do it two ways: You can cook each chop individually, or grill the whole rack and slice it after cooking. 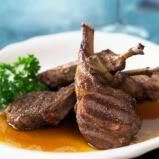 Check to see if the chops or rack has been trimmed of excess meat and tissue around the bones. You can leave this on if you wish, but most cooks remove it. Use a small knife to trim the rack, cutting away the layer of fat and connective tissue that surrounds the bone above the loin. Use the sharp edge of the knife to scrape each bone clean of the tough membrane that surrounds it. Finally, trim the remaining loin of excess fat, leaving a 1/8-inch-thick layer. Prepare a hot grill fire. Season the lamb on all sides with salt and pepper or the seasoning of your choice. See http://thegrillinguys.com/recipes/rubs/herb-rub-for-lamb/ for a delicious rub. When the grill is hot, use tongs and a paper towel to apply a slight sheen of oil to the grill grate. This will help prevent sticking and will promote forming grill marks on the meat. Add the lamb immediately. 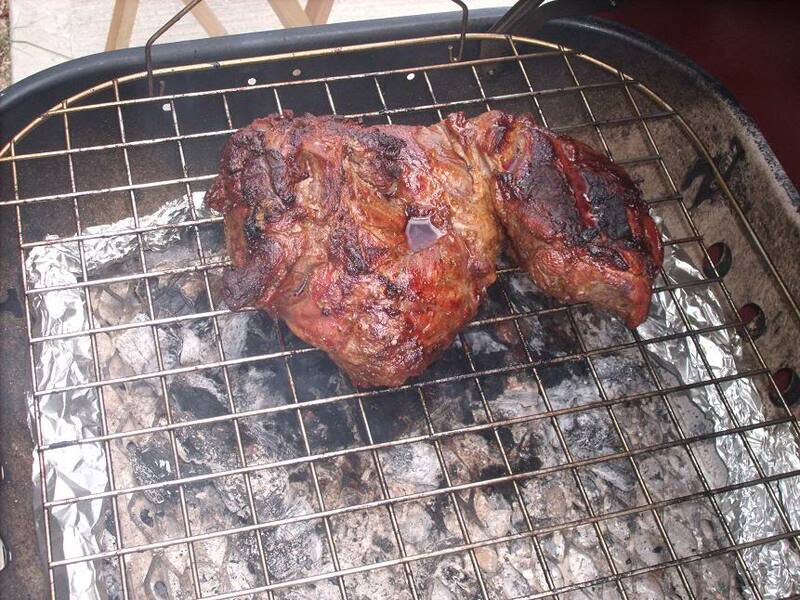 If grilling a whole rack, start the lamb with the meat side down. Grill individual chops about 2 minutes or less per side, turning only once. These will cook quickly and are best if kept at medium-rare or under. Taste or cut into one to make sure. Cook the whole rack for about 3 minutes per side at slightly lower heat, turning two or three times. Check for doneness with an instant-read thermometer (125 to 130 degrees F is medium-rare), or use a knife to cut off an end piece.